New York City is always romantic. The city is full of every type of love. Between couples, between friends, between families, between someone and a pair of shoes they can’t quite afford. One love affair most New Yorkers have is with food. From tiny Italian neighborhood spots that only take cash, to the swanky new sushi place that’s filled with celebrities, New York City is a food haven for all to fall in love with. This Valentine’s Day, celebrate with an amazing meal, no matter what your relationship status. One woman who knows good food -and New York City- like none other is Jess Young. The stunning brainiac blonde is the founder of Bubble, an online health food marketplace, (that’s backed by Karlie Kloss!) that is redefining clean eating, one delicious product at a time. 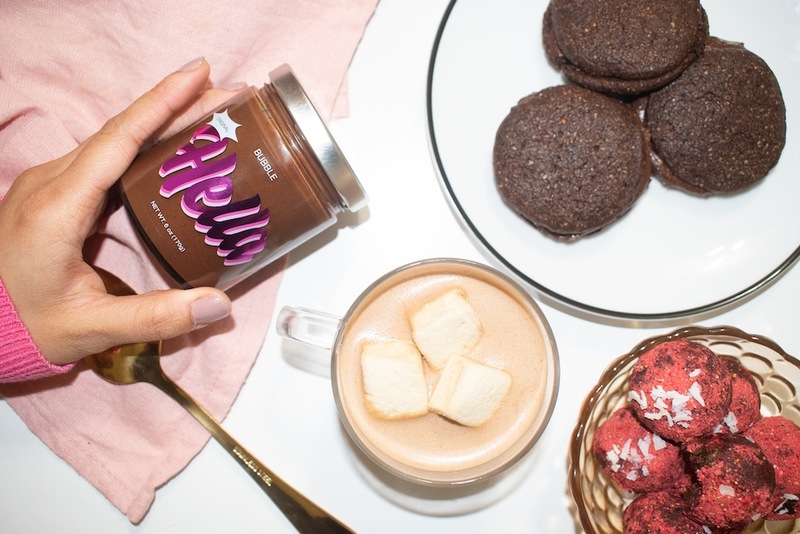 Their first product release, a chocolate spread called Hella, sold out faster than you can say “yum” but don’t worry - it’s back in stock. When she’s not running her growing empire or concocting new binge-worthy foods in the kitchen, Jess, like every New Yorker, is trying restaurants. Who better to guide us on where to eat on the 14th?